This is the 9th article from 中文天天读. 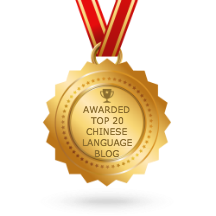 “左右” is a noun used after a quantifier to indicate “a quantity slightly bigger or smaller than the amount indicated by the quantifier”. It is enough to walk at a speed of about 100 to 120 steps per minute for thirty minutes every day. “加起来” means “add up to”. “起来” is a directional verb used after a verb to indicate the actions which has produced a result. You can take three to five minutes’ break every day, and that will add up to 5,000 steps altogether. Now people learn that work is busy, no time for exercise, So they put on more and more weight . What to do about it? Brisk walking 5000 steps per day, you will be able to lose weight. But people do not have the exercise habits, for example, you can climb stairs, washing your car and do housework. All these activities can make both your feet and body move and remain active. “现在的人学习、工作都很忙” is not “Now people learn that work is busy”. Nowadays people’s studying and working are very busy, and they don’t have time to exercise. People now are realising that work is too busy and they don’t have time to exercise. The meaning for your alternative translantion suggestion is not very correct. I have explained the meaning in the above comment. I have fixed the daily word and level 1 category listing. I tried to set the records per page to 1000, but it doesn’t work. Currently the records per page is 100. I hope it won’t cause any error again. There are still some issues with the listing. I have set the number of records to 50 again. If I have time, I will look into this problem. Thanks.